Autumn is here again and till the last minute I was not sure where to go. Then KLM offer of cheap tickets came and two main destinations were chosen. At the end Nairobi won over Shanghai for China is a BIG country, travel distances are very long and one month might not be enough. 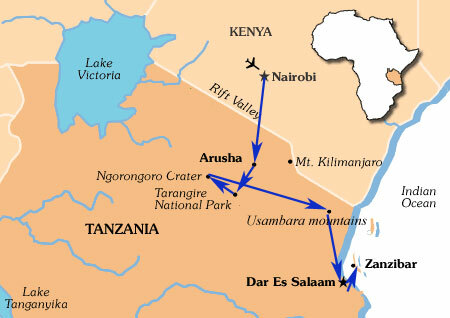 Even though Eastern africa is known mostly for safaris, I don't plan to spend too much time on them. First they are extremely expensive (my budget is about 700USD), second there are some other interesting places worth seeing. And as usual I'd like to learn more about local religion like juju of zanzibar, meet waganga - a traditional healer of the Shambaa tribe inhabiting the Usambara mountains or just talk meet and talk with locals..
Czech geographic magazines have published my articles about Tanzania and Kenya, you can find them here. Please note that they are in czech language. This is the final version of my plan. First 14 days we were traveling in two persons, second part was done only by me as the places I visited were too dangerous to take anybody along. 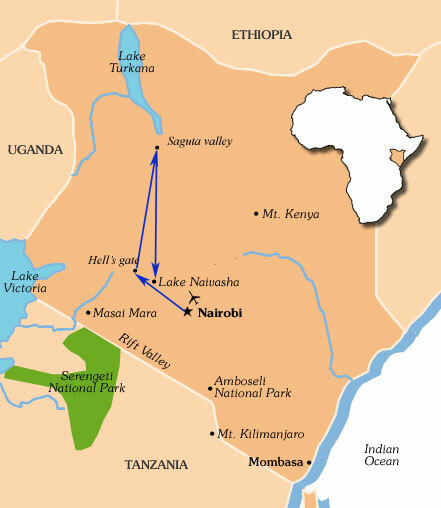 links to interesting articles and sites i found while gathering information about my trip..
Map 1: First part of my trip. Map 2: Second part of my trip.